This is a Unique, Quality, baby sweater. . This is a great gift to welcome the special baby into this world. This acrylic yarn was chosen because of its soft qualities especially after washing, it is even softer. Babies love to be cuddled in the warmth of this knit. The stitch structure is call birds eye jacquard knitting. Type in the BabyÌs Name Below under OPTIONS: The new born or 6 months size only has space for 6-7 letters on each side of the cardi fronts. If you choose to only use the babyÌs first name or initials, the other side where the last name is will be replaced by the morning star design. If your name is more then 7 letters, choose a larger size sweater. Rib Bands at bottoms and cuffs have Lycra in the cast on for stability and resilience. Pin Tuck V Neck is a double hemmed band for a soft feel around babies neck. Size : choose between new born, 6 months, 12 months, or 18 months under options below. Visit Baby Sets category to buy a matching cap and bootie set and or blanket to make this a very precious heirloom keepsake for any baby. Wrap them in the comfort of a hand loomed knit each knit is hand crafted with special love and care. This Baby Cardi has lots of unique style to let your special baby stand out in a crowd. The 3-dimensional front bands hide the buttonholes between the white and red pin tucks. This V neck cardigan with long sleeves has ample growing room. Bottom and Cuff bands are 2 x 2 rib with lycra at the ends to keep the ribbing resilient. Our Sample Morning Star Cardigan has red bands with blue royal trim. 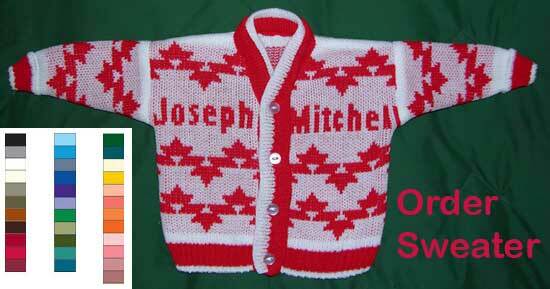 This is a personalized cardi for your special baby. 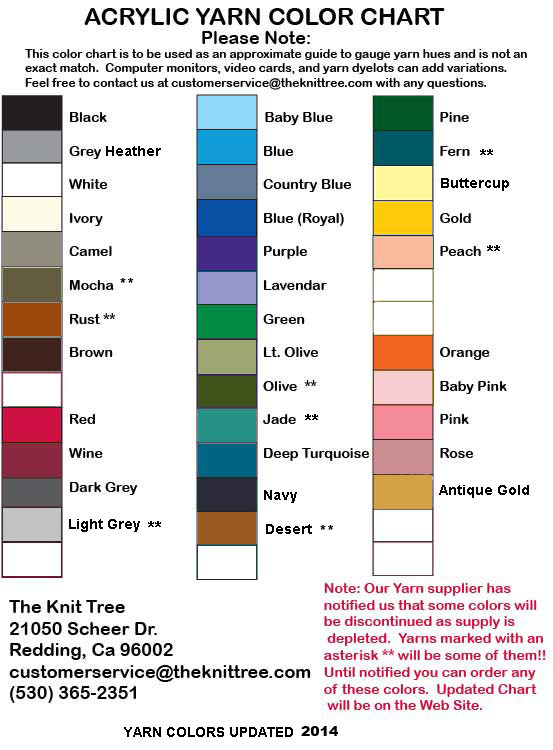 Refer to our sizing chart below to select your size. The age of a baby does not always reflect its size, so I include a 'Finished Measurement Size Chart Below. I always recommend going to the next larger size if you are in doubt of what size to order. The following chart shows the finished measurements of the standard sizes. Please note that Cardigans have slightly more ease than pullovers or T-s.
6 Months 23" 11.5" 7.5"
12 Months 24" 12.5" 8.5"
18 Months 25" 13" 9.5"
Note: Knits can very slightly from these measurements due to the effect of color and motifs. Contact Customer Service if you have any questions or special requests. iF YOU DO NOTE WISH A FIRST OF LAST NAME AND PREFER AN ALL OVER MORNING STAR DESIGN, WRITE NONE IN THOSE SPOTS AND WE SUBSTITUTE WITH THE MORNING STAR PATTERN.